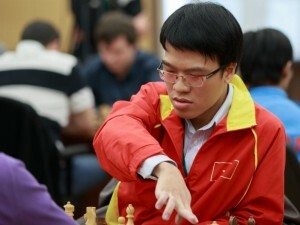 World Blitz Chess 2012 Title: Le Quang Liem says it's his Biggest Win Ever! Vietnam Grandmas Le Quang Liem in a chat with the official website after winning the World Blitz Chess Championship 2013 in Khanty Mansiysk. - Liem, congratulations on the victory! Did you expect that you would win the Championship? - You know, this result was a big surprise for me. When I was coming here I did not even think about victory. 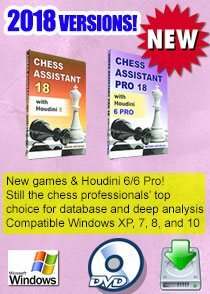 There are lots of strong chess players who are famous all over the world. I just wanted to see what will happen and who will become the Champion. In fact I cannot recollect any success in any previous blitz tournaments. For instance last time when I played Aeroflot, I played badly though I was fifth in the starting list. And in the final list I was not even in the first 50 players. Today I did not play very well but with each game I had better game. By the end of the day I started to play more confidently, making less mistakes. - At some points you were two points ahead of your competitors. Did you feel that you have a chance to win? - Yes, I was two points ahead but it was still unclear who will lead. This is blitz and if you make a small mistake – you lose. Everything I was thinking about at that moment is that I just have to play. Somewhere I started to put some pressure. - Your compatriot showed good results as well. Did you prepare for these championships, perhaps by playing against each other? - Yes, we were really training before the tournament. We were playing against each other and via Internet. This gave me more confidence. 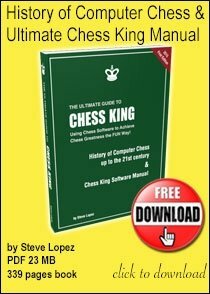 - Is the victory in this championship your biggest success in your chess career? - Yes, it is the biggest success in my life. It happens once in a while when someone wins the World Champion’s title. This victory is very important for me, As for the chess side, I see that I need to learn and learn. I will not practice more, I will play more chess. - You are the first chess player from Vietnam who became the World Chess Champion. Do you feel like a hero of your country? 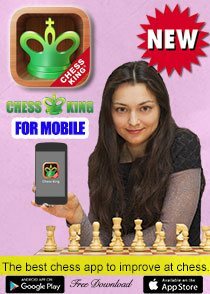 - Before this success I had some achievements in chess career. They know me in Vietnam, they recognize me in the streets. I would like to underline that today’s success will not only give me energy in my future career but also will help the chess development in my country. - Usually when I participate in rapid or blitz competitions, I wear something comfortable. Because I need to move pieces very quickly. But it is good to wear an official dress for the press conference and Closing Ceremony. - Despite the fact that you had a big distance throughout the whole tournament. But in the last round all three chess players had almost equal chances. You played against Sergey Movsesian in the last round? What did you feel during this game. - Before the last round it was an interesting situation. Several chess players had chances to win the tournament. I think that it was difficult not only for me. I came to play this game as all other games. I just played chess. I tried not to make mistakes. In the first game against Movsesian we had an equal position and came to a draw. Then I saw that Ponomariov won and I share the first place with him. That is why I thought that I have to take the second game against Movsesian more seriously. I thought I have to try to get some advantage and try to win. At some point I had worse position but then some chances appeared and I used them. Fortunately I managed to win. - After this victory, don’t you think it is high time to organize big international official chess tournaments in Vietnam to give you and other Vietnamese chess players a chance to participate in them. - I would be really great if the Vietnamese Chess Academy and our country in general will organize big chess competitions of high level. The main problem is to find sponsors. 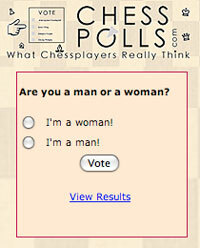 Unfortunately chess is not so popular in our country as other sports. For instance football. But I think that thanks to our chess players and their success during last years and particularly thanks to this success of mine in this championship, people would have more interest in chess. - What memories will you have after this tournament? - I come to Khanty-Mansiysk for the 5th time. I was playing in the World Cup, took part in the World Chess Olympiad. 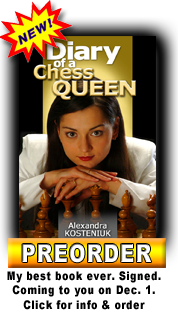 There are many chess competitions of the international level, with good organization. I have very good memories about this city. It is a small and beautiful city. After this success Khanty-Mansiysk is a lucky place for me. 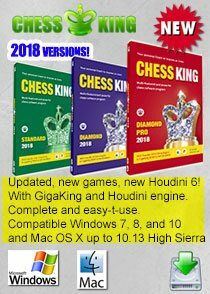 I think it is just created for chess. It's a great victory for Vietnam chess. Legendary Chess Players: Identify Photos! 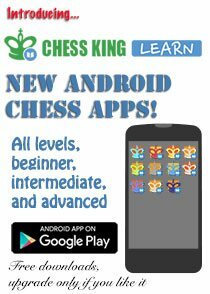 Cool Chess King Tactic Puzzle - It's Easy!